I have very dry skin and I find that this moisturizer works super good for me. I wish it were a little less expensive but it’s worth the price. After reading all the great review about skinMedica products I thought I would switch it up from Nia24. I found that my skin did not seem to absorb this product and it felt as if it just sat on top of my skin ...I tried 4 different products from this brand and was very unhappy so I am back to Nia 24 I find that to be the best product on the market ! Have used for years and truly love . This cream is very moisturizing, and not too heavy . I really like it more than other Products that I've tried . 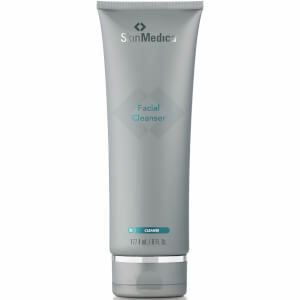 While I LOVE SkinMedica's line, this particular product has such a heavy scent that I will never order it again. I find myself slathering it on too heavily to get rid of it quicker. I'm also using it mostly on my neck and décolleté. 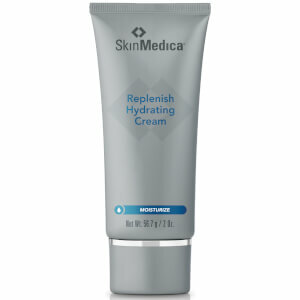 I recently switched back to SkinMedica products in the last 2 month after using the product for about 10 years. I was using an organic skincare line for 2 years. Within 2 days, my skin was radiant - Cannot believe how much I was missing until I saw the difference almost overnight - it was AMAZING!! Extremely pleased with my choice. It is worth every penny!!! After using this for several months, I can honestly say that there is nothing in this cream that has had any benefit for my mature skin. 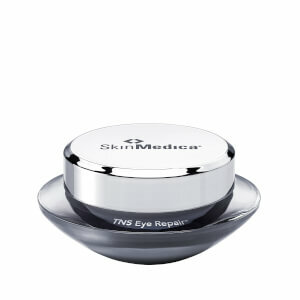 I use tns essential serum and apply this as my next layer. It seems to just sit on top of my skin and does provide the moisture I need. Definitely a product I will use again! This cream is a great moisturizer for dry skin. It is super hydrating and doesn't react with other skin care products. There were some moisturizers I would put on after using a facial mask, cleanser or serum that would cause burning, redness and irritation. Not this one. It works well with my other skin products. It's pretty pricey which is the only downfall. Because I had very good results with the TNS serum, I decided to try this moisturizer. I only used it once and my skin became red, irritated, burning. Definitely not for sensitive skin. This is the best facial moisturizer that I have ever used. My skin is very sensitive and breaks out easily. I do not break out from this cream or experience any irritation. When I started using SM Dermal Repair, my skin was dehydrated, red and in bad shape. After using it for two weeks I could not believe how great my skin looked and felt. I will continue to purchase this cream for as long as they make it!